Our group of stylish ottomans offers a functional option for every home. In different shapes, sizes, styles, and fabrics, these ottomans will create a comfortable place to rest your feet, or a cozy extra seat. Convenient storage features and tray tops make for great entertaining, while plush upholstery adds to the sophisticated look of each ottoman. 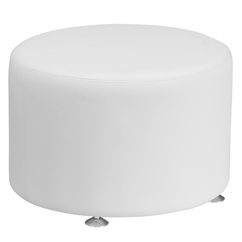 Our Ottomans and Footstools ship FREE to the continental U.S. ,usually within 3-4 business days!